Welcome to the Lithuanian Jewish Community, welcome to Vilnius. You will soon experience it for yourself. This isn’t a promotional film, it’s the reality, slightly beautified. Beautified, because you won’t see all the hard work that goes on every day and the people who do it. I thank them. We work, we make mistakes, we fall down and we get back up and work harder. But we’re here. There are not so many of us, of course, and we are all different, and sometimes we argue, sometimes we embrace, but we are all here together and we are beautiful, able, talented, loving and dedicated. We’re the Lithuanian Jewish Community, the family of Lithuanian Jews, a part of our country. We have been here for six centuries now. We have experienced the greatest afflictions and disasters but we never gave up and we have remained. We have to pass something on to our children and grandchildren. I personally want to pass on to them our Jewish identity, my story and deeds and those of my ancestors. I am trying to do this together with the community because I know that I alone will not succeed. I believe it is better to act and to make mistakes than to do nothing. I wish everyone the greatest success. Let’s take pride in our Lithuanian Jewish Community. 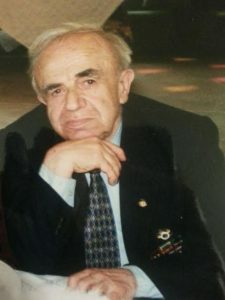 The activities of the Lithuanian Jewish Community are broad-ranging and interesting, and the makers of the following film decided to include footage from just four days in the life of the LJC. To show more would require a series of films. One of the most important goals of the Community is listening to and taking care of our members, children, adolescents and senior citizens. 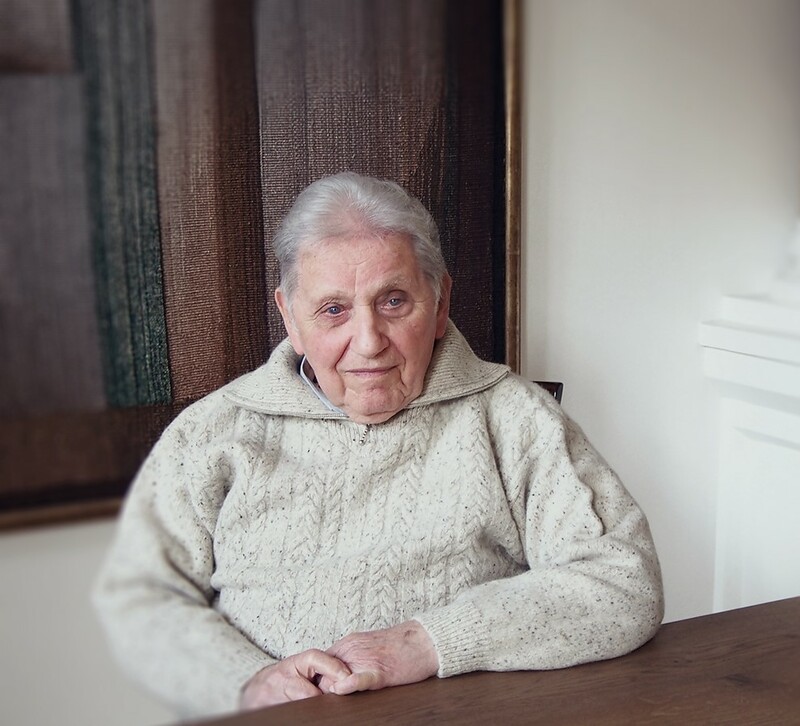 Care and aid from the Community’s Social Programs Department is allocated to Holocaust survivors, the ill, disabled and socially marginalized. An important benchmark in our work recently was the restoration and protection of our country’s wooden synagogues, unique in Europe. 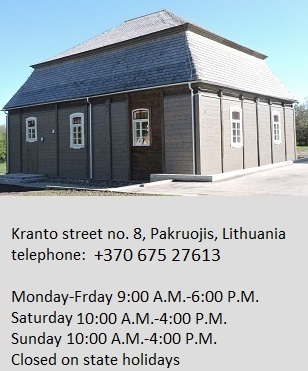 The opening ceremony for the restored and reconsecrated synagogue in Pakrojis, Lithuania, is included in the film. Work was conducted with the Lithuanian Cultural Heritage Department under the Ministry of Culture and with local municipal and regional administrations. If the film were continued, we would have included more young people, students, the young Jewish parents clubs, of course our regional Jewish communities and lots of fun moments from the different events and holidays put on by the Lithuanian Jewish Community. There are around 2 thousands Jews in Vilnius Jewish community. 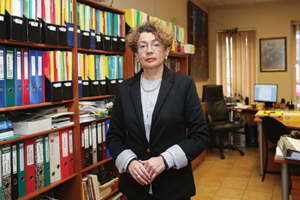 We in the Vilnius Jewish community sometimes feel paradoxical currents. It is thrilling to be heirs to such a magnificent, world-famous Jewish community: the city once known as “Jerusalem of Lithuania” or “Jerusalem of the North” and to be able to walk streets and “Vilna through-yards” that lead from one old-city street to the next, knowing we are walking in the footsteps of one of the most creative Jewish communities of the European past. But it also places a great burden on us: We are a tiny remnant, we have no illusions about our role in today’s Jewish world, and we want to work hard to maximize what we can so that we can together build a community that one hundred years from now will be more substantial than it is today. Not easy, but roots in the past give reason and inspiration for thinking also about the future. And the future starts with the present. That is why we close our eyes and smile inside, and don’t listen when people say we are finished. Like the generations of Litvaks (“Lithuanian Jews”) we hail from, we have no time for defeatism. There is too much work to do! We just roll up our sleeves and get to work on new projects to keep alive the spirit and ethos of our community. We want people to know that we are proud of our community. It includes a healthy (some would say too healthy!) diversity of opinions and approaches to the Jewish and wider questions of the day, and it includes an amazing mix of people (nobody would say too amazing!). You will be reading about some of them when we soon start our series of Profiles of Modern Jewish Vilnius, but for the moment let it be said that our ranks include factory workers and professors, musicians and artists, philosophers and writers, newborn babies and 100 year olds, doctors and lawyers, and frankly, people in many many walks of life. In diversity lies strength. Many people ask us about the roots of our community. As in the case of all Lithuanian (or American, or British, or Israeli, or any country’s) citizens, all citizens are equal, those with centuries-old roots and those from more recent migrations. There is one thing we want to make clear at the outset: We love it when people from every corner of the world with roots in Jewish Vilna or Jewish Lithuania (or even just historic interest in the Jewish heritage here), come to visit us and partner with us to ensure that their experiences here are fulfilling and pleasurable in every possible way! If you are planning a Jewish-interest trip or project, we are here to work with you to help realize the results in the best possible way! 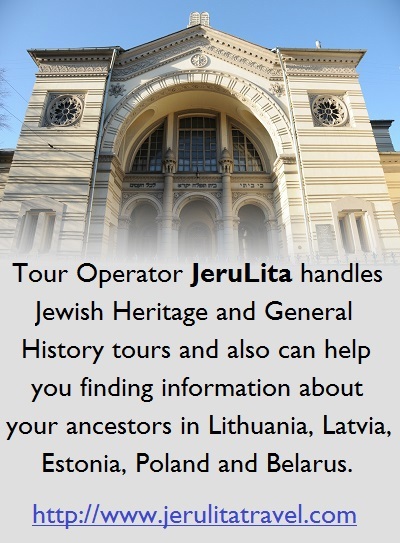 Please remember that a warm welcome and solid advice awaits you at the Vilnius Jewish Community! Please make Pylimo Street no. 4 one of your first stops in Vilnius. Or even better, contact us (email: info@lzb.lt), long before you come so we can help you design, streamline and maximize your time in the land of some of your forefathers and foremothers. Activities of the Panevėžys Jewish Community The community includes about 75 people. 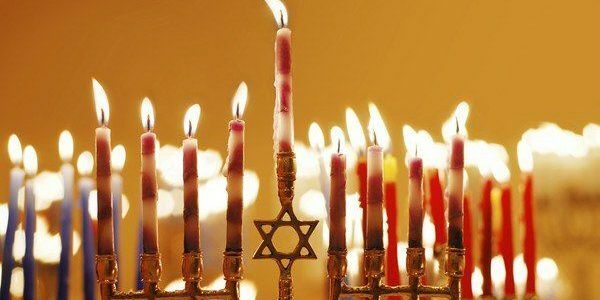 The community holds various religious events, celebrates Jewish holidays and marks important dates on the Jewish calendar. 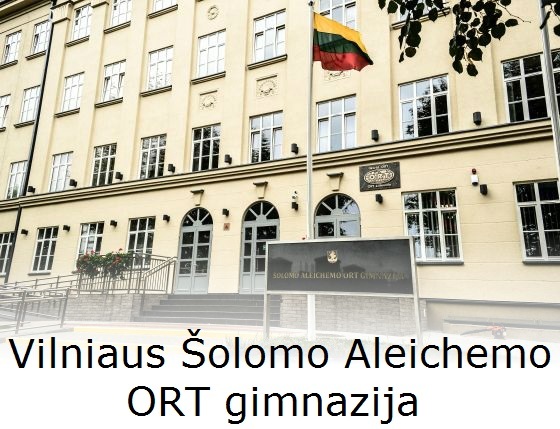 They maintain close ties with public figures, embassy staff, the Rožynas High School in Panevėžys, the Gabrielė Petkavičiatė-Bitė Library and Christian religious communities. 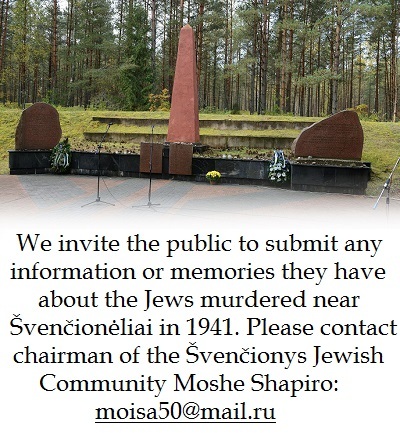 The Panevėžys Jewish Community organizes exhibits, the Jewish Cultural Days and international conferences, tends the Panevėžys Jewish Cemetery and carries out active social activities. Jews have lived in Panevėžys (Yiddish Pónevezh) since the 17th century. They came from the Ukraine and Western Europe and slowly settled in the town. In 1766 Jewish families built many new brick houses in Naujasis Panevėžys (New Panevėžys) which housed 254 Jews. The development of crafts and trade developed rapidly in Panevėžys at this time. Jews were engaged in the production of small trade items and goods, metalwork and timber processing. The Jews of Panevėžys were among the first to become involved in banking in Lithuania. Jews opened lending offices which lent to smallholder farmers. There were 410 Jewish families for a total of 1,447 Jews living in Panevėžys in 1847. This community was close-knit and adhered to the life of the Torah and its traditions. Relations between Jews and people of other ethnicities were exemplary. The Pónevezh Jewish community spared no effort to ensure that all their children would become literate, without regard to the social position their parents occupied. A Jewish primary school was opened in 1863 with five teachers and about sixty boys. The other children were taught at Jewish study houses. A religious school for girls was opened the same year. In 1897 the Jewish community had one main synagogue, built in 1764, and 12 houses of prayer. Panevėžys had 14,733 residents in 1904, of whom there were 3,088 Jewish men and 3,556 Jewish women. The population would have been higher if not for massive immigration to Hungary and North America. Ten years later about 17,000 people inhabited the city of Panevėžys and surrounding areas. About half of city residents were Jewish. Before the First World War, there were 60 Lithuanians and 351 Jews engaged in trade in Panevėžys. Activities of the Klaipėda Jewish Community The Klaipeda Jewish Community currently has more than 200 members. The community organizes celebrations of Jewish holidays, marks important dates on the Jewish calendar, holds cultural programs, organizes Sunday school for children and leisure activities for the elderly, and provides and distributes welfare, including money, services and material goods. Century Klaipeda was formerly called Memel. Jews appeared in Memel probably sometime in the 15th century, although the first historical source is from 1567. On April 20, 1567, Albrecht, Grand Herzog of East Prussia, ordered Jews to leave the city within 21 days and never to return. The ban lasted until the mid-17th century. Even after it was lifted, Jewish settlement in Memel was strictly controlled and limited. Only in 1662 did Fredrich Wilhelm, elector of Brandenburg, grant the right to live in the city to an individual Jewish merchant. Frederich Wilhelm sought to strengthen Memel’s trade ties. Moshe Jakobson the Younger because the first legal Jewish resident of Memel. Within several years, however, he, his children and servants were exiled from the city for his overactive speculation in salt. As late as the 18th century the ban on Jewish settlement in Memel was still in force. In 1777 Moses Mendelssohn came to Memel to trade. Besides being a merchant, he was also a famous Jewish philosopher, the spiritual father of the Jewish Haskalah (enlightenment dedicated to modernization and incorporation of secular culture in a renewed model of European Jewish life). He was also the grand-father of Felix Mendelssohn-Bartholdy, the well-known composer. Mendelssohn’s renown in Europe was of no aid to him in getting permission to settle in Memel. He was forced to live in Konigsberg. The situation only changed a century later. The French Revolution gave equal rights to Jews of France. This revolutionary innovation spread to the countries conquered by Napoleon and partially survived even after Napoleon was toppled. The favorable situation of Memel (a large port that didn’t freeze over in winter and with autonomy, located far from the capital of Prussia) and a favorable turn of events (the Crimean War, which isolated Russia from the normal trade routes) led to a marked increase in the number of Jewish residents: from 45 people in 1813, to 887 people in 1867, to 1,214 people by 1880. Organizing Jewish holidays and marking important Jewish dates. Commemorating sites and personalities, as well as people who have helped the Jewish people. Organizing cultural programs: plays, films, concerts, museums and exhibitions. Honoring Holocaust survivors and providing a space and framework and support for their activities. Helping World War II veterans’ organization by providing facilities. Helping members of the Kaunas chassidic community organize prayers at the synagogue, providing facilities and covering expenses. Maintaining the working cemetery at Aleksotas and the old Jewish cemetery in Raudondvaris, and maintaining the graves of famous Jewish personalities of Kaunas and the Kaunas region. Visiting old Jewish cemeteries and Holocaust sites in the Kaunas region, providing information about them to visitors from around the world. 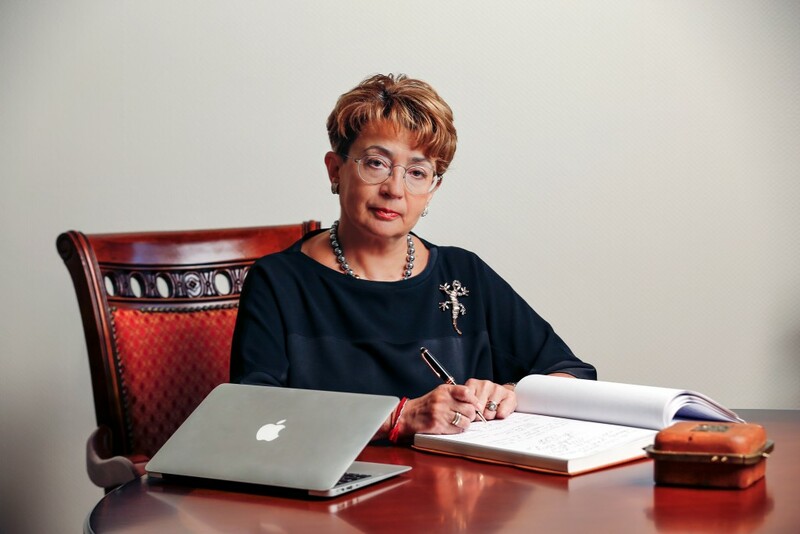 Providing advice to courts in legal disputes. Fostering a positive image of the Jewish people and community in the media and other public forums. 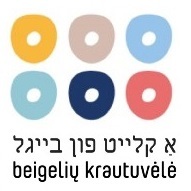 Providing Yiddish language classes to the elderly (and hopefully soon for younger people too!). 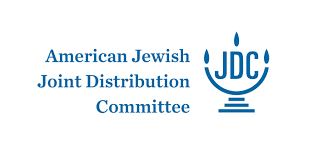 Providing and distributing charity: money, services and material goods for Jews and Holocaust-era rescuers of Jews. Visiting ill and elderly Jews and Holocaust-era rescuers in hospital. 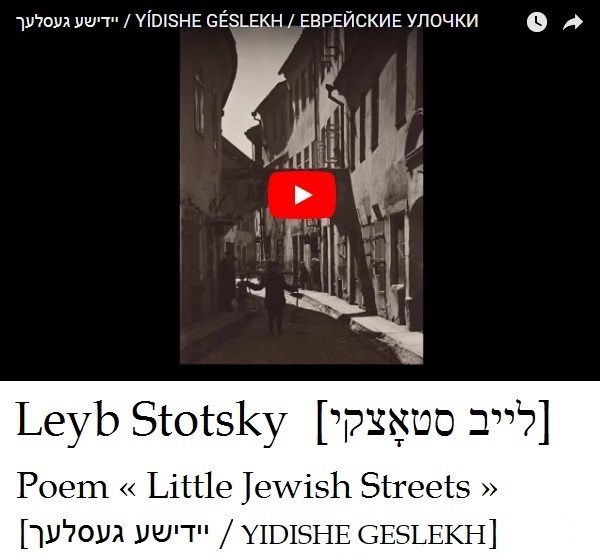 Seeking out previously unknown rescuers of Jews, ghetto and Holocaust victims and possible new members of the Jewish community. Honoring rescuers of Jews and righteous gentiles who fought against Hitler in World War II.